Today at Just A Scrappin' our challenge is to Create a layout of something we did to celebrate this past summer. I could only think of all the cards I made for Operation Write Home and Cards for Hospitalized Kids. So I took pictures of the cards I have ready and then added the kind of embellishments I use on the many different kind of cards I make. 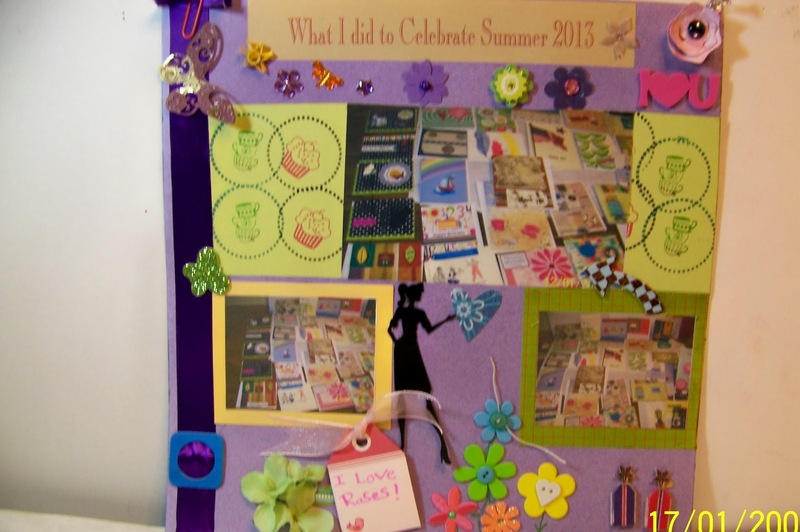 Hope you can join us in this challenge at 'Just A Scrappin'.